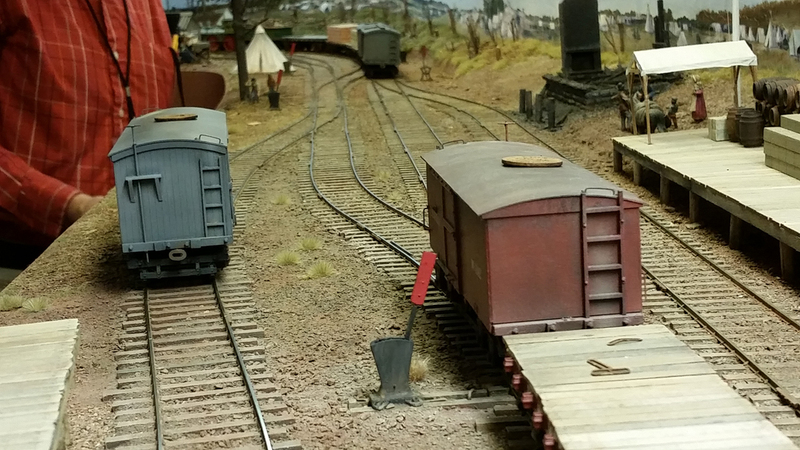 Americans and ten-wheelers, all made from 3D printed materials abounded at the American Civil War Railroads convention. Drivers were from the Mantua/Tyco General or imported from Great Britain. WV 1866 roundhouse was also made. A supply train at the Aquia Landing pier is ready to depart for Falmouth on Bernie Kempenski's U.S. Military Railroad. The white shape on the left is a hull of what will eventually become a side-wheeled supply ship. 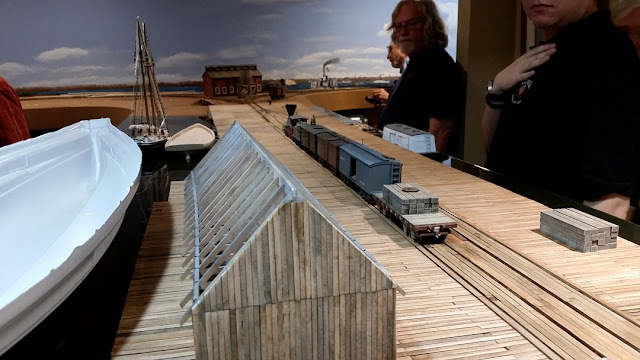 The highlight of the weekend for me was the chance to operate on Bernie Kempenski's U.S. Military Railroad's Aquia Line (usmrr.blogspot.com). It is O scale with just about everything being scratchbuilt. Several of us spent a few hours moving trains across the line and delivering goods to the brave Union soldiers facing Fredericksburg. The yard at Falmouth is the site of much switching The small disks on the car tops contain the car's destination and if it is loaded or empty. 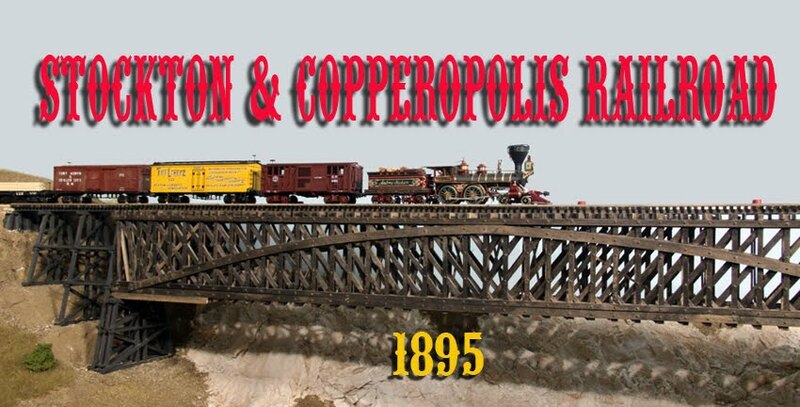 The second convention was the annual Virginia and Truckee Railroad Historical Society conference in Carson City, Nevada (vtrrhs.org). This is my favorite convention of the year. The speakers are very knowledgeable and they speak on a railroad that has been of interest to me for a long time. 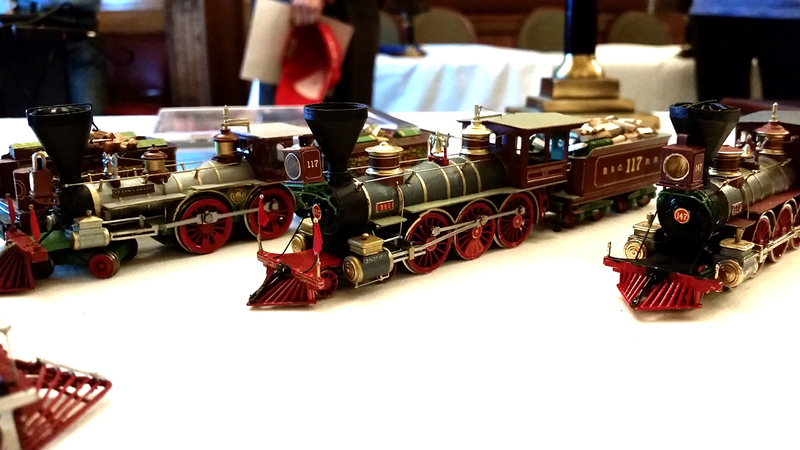 I was honored to give a couple of talks on the prototype V&T locomotives and on building ore cars. Unfortunately, these great get-togethers only come once per year but it makes me look forward to the next one. Now, back to modeling.